Dr. Jennifer Marie Lane’s service to the world is through her devotion to dreams and embodied life. She is a mother, dream oracle, chiropractor, and teacher of earth wisdom and sacred movement. She has studied dreamwork and healing from both an academic and experiential perspective at Stanford, Esalen and beyond. Her facilitation invites participants into a realm where body, heart, mind, soul and spirit(s) freely intermingle - where Dreams come alive! She also walks the path of Beauty, Love & Magic, having received initiations into the Great Mystery in Sedona, AZ and Glastonbury, UK - home of Avalon, the Tor and Chalice Well Gardens. The mystical path continues to guide and inspire her onward. In the Spring of 2016, she and her husband left their San Francisco home of 10+ years, and embarked on an epic adventure. They lived on the road full-time in an RV, traveling, teaching, making a home and invoking Beauty, Love & Magic wherever they landed. Jennifer gave birth in the RV to her beloved son, Taliesin. She is happy to have landed in Bend, OR with her husband, Dr. Mike Lane, and son. 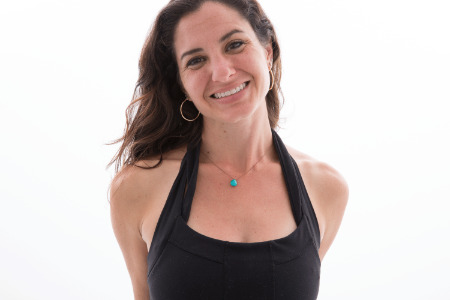 Jennifer offers dream temples and oracle readings, 1:1 body-centered ritual sessions, sacred movement classes, gatherings, and retreats that evoke a deep sense of heart-soul connection, as well as online and 1:1 studies for continued integration and embodiment. She invites each of you to follow your true path, and to wander a bit on a walkabout where there is no path, only the living Dream. "ODE is a lovely, clear, coherent, accessible book. The breadth of experience in frames of reference is wonderfully broad, without being judgmental or intimidating - no small trick! Thank you for writing, and for bringing deep knowledge and wisdom about dreaming to an ever widening audience. "~ Jeremy Taylor, D.Min.